If your home is struck by a water damage situation like roof leak or pipe burst, 911 Restoration Atlanta is the company that you can always count on to provide you with a fresh start through the highest quality of water damage repair and restorations. No matter what shape and size it can come in, water damage is a major inconvenience for homeowners. Especially when they happen out of nowhere, a leak can be frustrating thing to deal with on your own. Whenever a leak springs within your home, it’s vital that the issue be patched up right away so you can avoid complications like flooding, wood rot, or mold growth from occurring. To be able to work on the issue as soon as possible, our water damage Conley to will arrive within 45 minutes of your call to take on the problem. You can expect a free inspection and estimate as soon as our specialists arrive on site. .Through our assessment, we can better understand the issue plaguing your home and provide you with the best solutions at an affordable price. Our water damage Conley technicians are licensed, insured, and bonded to take on any water damage. We’ll always be available should you ever need help, but there are ways that you can take a more active role in protecting your home against ceiling leaks and pipe bursts. Keep your roof properly maintained. Every spring and fall, make sure that you check your roof for any signs of damage like curling or missing shingles. 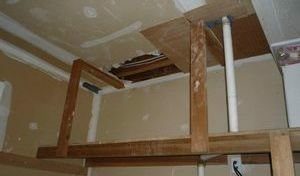 Repairing these issues early on can go a long way in preventing instances of ceiling leaks. Keep your gutters clean. Don’t forget to remove leaves and debris to prevent clogging. This will help in preventing roof leaks as well as help in protecting your property against foundation damage. Check the plumbing. The plumbing will deteriorate over time. It’s best to check the pipes for signs like rust, cracks, or leaking and replace these sections before a burst can occur. Check the hoses on water-based appliances. The hoses on your water-based appliances might also be deteriorating. Check for signs of wear and tear and replace them when necessary in order to prevent leaking and ruptures. Don’t let your home succumb to the devastating effects of water damage in any form without help from our experts. Contact our water damage Conley team with 911 Restoration Atlanta for the best in services to get your home back to normal today! 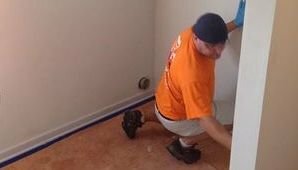 We have over four decades worth of experience when it comes to dealing with all sorts of water damage situations and we’ve assisted countless homeowners in restoring their homes. Our water damage Conley specialists are always available 24/7/365 to take on water damage issues as soon as they happen. With the breadth of experience we posses together with our training, you have our assurance that you will get complete solutions for problems. Whenever you need any of those issues taken care of, you can trust the IICRC certified water damage Conley technicians from 911 Restoration to take care of it for you. Give our water damage Conley team with 911 Restoration Atlanta a call and we can get your home or office back to normal after any type of incident in no time today!